Campers can look forward to paying less at most state forest campgrounds from now on. Fees were lowered in April by $2 to $3 per night after Michigan Department of Natural Resources director, Rodney Stokes, approved the change looking to bring the price in line with rustic campgrounds at state parks. Eighteen of 131 state forest campgrounds also are being added to the state park reservation system for the first time, allowing campers to reserve any of 244 campsites or six rustic cabins. The change is part of a make-over DNR officials announced in April for the financially beleaguered forest campground program. “We know it is a benefit to customers to be able to reserve a site and be guaranteed it will be held,” said Tim Schreiner, supervisor for Traverse City State Park. Schreiner was selected by DNR State Parks chief, Ron Olson, to coordinate a merger of the state forest campground program with the state park program. Reservations will be available using the DNR online reservation system www.midnrreservations.com. The cost per reservation is $8. A state recreation passport is also required. That change was approved by Stokes in March. Passport stickers cost $10. They can be purchased when annual license plate renewals occur and at the rustic campgrounds. They replace the former, $24 annual motor vehicle sticker and are mounted on the license plate rather than a window. Passports provide entry to all state parks, state recreation areas, state-operated boat launches and state forest campground and trails. Campers can now order a passport at state forest campgrounds for the first time. The payment envelope for camping fees has been redesigned with a tear-off as a temporary receipt. Cabins and group campsites will not change. Cabins remain $65 a night and group sites continue to be $6 per night per person. Parks chief, Olson, said he intends to reposition the rustic campground program so it is an efficient and well-managed camping option, part of the spectrum of camping opportunities offered by the DNR running from modern to rustic . A March 15 memo from Olson to Stokes calls for, among other things, changing fee collection practices so fewer campers cheat the system by not paying. State forest campgrounds operate on an honor system where campers deposit their fees in a pipe. There is no staff on site to assure that payment. Non-payment ran as high 30 to 50 percent in certain locations, DNR staffers have said. “Our goal is to have more aggressive patrolling and more interaction with customers,” Schreiner said. “We believe there are customers who are cheating the system. We want to continue to have them as customers, but we want them to pay their fair share. 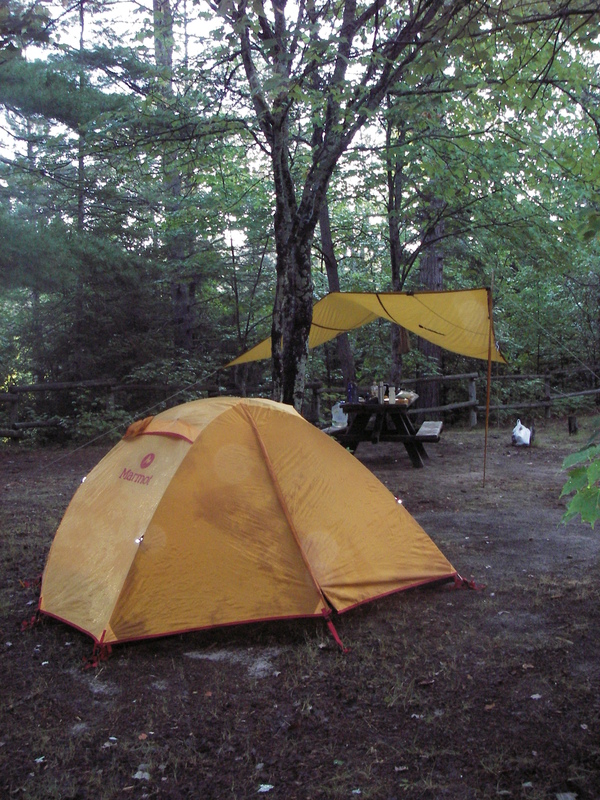 Camping revenues are expected to increase by 20 to 30 percent annually. The program collected nearly $1.1 million in 2011. It received $249,000 in general fund tax revenues and $442,000 from first-year passport sales. Seven percent of passport revenues are slated, by law, for the state forest recreation program. The campground program also received $455,300 from the state Waterways Fund to pay for boat launch maintenance at sites within state forests. Many campgrounds are located on rivers, streams or lakes. Others are located on trails used by hunters, equestrians, hikers, cyclists and others for non-motorized recreation. The new revenues are expected to give the program a boost. It will mean more maintenance and improvement, Curtis said. The make-over plan for the state forest campground program includes more marketing and potentially “resizing” some of the less used sites. “We are not looking to close any campgrounds,” Schreiner said. “But if we find one that has 75 sites but only fills halfway, we might look at reducing it from 75 sites to 50 sites. This entry was posted in Uncategorized and tagged Camping, Michigan Department of Natural Resources, State Forest, State Forest Campgrounds. Bookmark the permalink.